Aluminum sided 2 story with kitchen, dining room and living room on 1st level and 2nd level has 3 bedrooms and full bath. Great house for the price, especially if you don't like yard work, you'll love it!! Greater Johnstown Senior High School High School / Public 3 0.72 mi. East Side El School * Pre-School, Elementary School / Public 3 1.27 mi. St Andrew School * Pre-School, Elementary School, Middle School / Private N/A 1.09 mi. St. Patrick Elementary School * Pre-School, Elementary School, Middle School / Private N/A 0.28 mi. Ferndale Area Junior-Senior High School * Middle School, High School / Public 5 0.38 mi. Bishop Mc Cort High School * High School / Private N/A 0.94 mi. 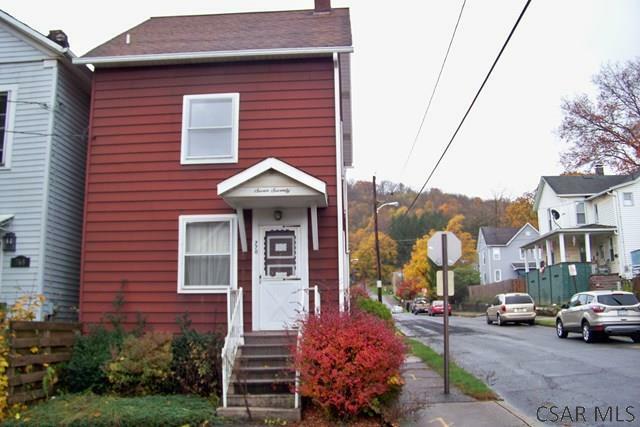 770 Cypress Avenue, Johnstown, PA 15902 is a 3 bedroom, 1 bath single family home was sold for $14,000.